In 1978, Newsweek magazine reported that hundreds of college campuses were home to Greek Toga parties and more than 10,000 students at the University of Wisconsin participated in a single Toga party. The impetus for such frivolity? The 1978 movie “National Lampoon’s Animal House” starring John Belushi. In the movie, Belushi and his compatriots engaged in raucous behavior, including fraternity hazing and campus food fights. In one scene, the members of the fictional Delta House dressed themselves in bedsheets and laurel wreaths and danced and frolicked about in a drunken stupor. 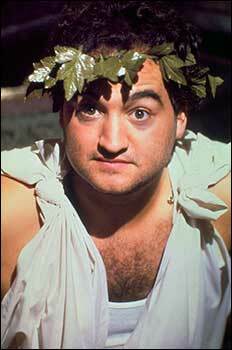 The movie “Animal House” was not the first time the United States had witnessed a toga party. In fact, First lady Eleanor Roosevelt held a toga party to spoof the loyal followers of the “Caesar”, her husband President Franklin D. Roosevelt. By the spring semester of 1979, the toga craze had diminished and went the way of the Roman… Greek empire.